Designed with consumers in mind, Sole exercise bikes were newly launched in 2011 and have been very well received ever since. The company is focusing on clean efficient designs coupled with less programming, and they left off the unnecessary frills that would otherwise drive up the price. Sole’s line of treadmills and ellipticals have been on many Best Buy lists since the company began producing fitness equipment two decades ago. 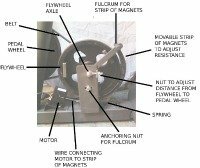 With the company’s entry into the exercise bike market, as expected their engineers brought their best game to the challenge of designing great indoor bikes. We expected Sole exercise bikes to shine in areas of warranty, quality, and performance, but we did not expect the price of the bikes to be so ... reasonable. Consider it a bonus that you can buy a Sole for as little as $699. 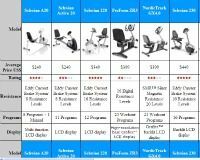 Sole makes seven models among three categories of stationary exercise bikes. All styles come backed with Sole’s lifetime frame warranty, 1 to 2-year labor coverage, and 3 to 5 years on parts and electronics. You have two recumbent models to choose from: the base R92 and the up-level LCR. The R92 features the company's patented 2 degree inward pedals to minimize strain and stress, 10 built in workout programs, Bluetooth tracking capability, pulse and wireless heart rate, 20 resistance levels, a 20-lb. flywheel, a 9" LCD display and 300 lb. max weight capacity. The up-level LCR gives you all of the features of the R92 in a more commercial-grade bike, with 40 resistance levels, a 31-lb. flywheel, a 10.1" TFT LCD display and a 350 lb. max weight capacity, plus a stronger manufacturer warranty. You have two upright bikes to choose from: the base B94 and the up-level LCB. The B94 is exactly the same as the R94, except it features an upright seat rather than a recumbent one. The up-level LCB is exactly the same as the LCR, but again with an upright saddle. The SB Series of Sole exercise bikes features two indoor cycling bikes: SB700 and SB900 and an aerdyne model, the SB800. The SB700 is an indoor cycle with a 48 lb. flywheel, felt pad resistance with dial adjustment, toe cages, tons of adjustability, a 3" x 4" LCD display and a 300 lb. max weight capacity. The SB800 is air fan bike similar to the Schwinn Aerdyne series, which is like a bike combined with an elliptical, allowing you to work your upper body as well. Here you get 12 workout programs, wireless heart rate capability, a 5" x 7" LCD display and a 300 lb. max weight. The SB900 is an advanced version of the SB700, with eddy current magnetic resistance instead of felt pad, SPD pedals, wireless display console, and more durable design. Which Sole Exercise Bike Should You Choose? We like all of the Sole exercise bikes, because just like with their treadmills and ellipticals, the construction, durability and design is top notch. The company doesn't focus on bells and whistles, but rather making sure that the user is placed in the ideal natural position throughout the workout to maximize results. There's only a couple of models in each series so choosing one shouldn't be that difficult. Start by deciding which kind of bike you want...a recumbent, an upright or one of the SB indoor cycles/air bike. For basic use by one or two average sized individuals, the entry level models in each series will be just fine. So the R92, B94 and SB700 will be a good choice for you, as well as save you a little money. If you're more advanced than a beginner, or there will be multiple users working out on the exercise bikes on a regular basis, definitely consider one of the upper level models: LCR, LCB and the SB900 indoor cycling bike. The advanced models are more durable and more commercial-grade, so they'll stand up to heavier usage and last much longer. As far as the SB800, that one is for those who like the fan blowing in their face as they work out, and the ability to use the elliptical arms to work the upper body at the same time. So if you like the idea of a two-in-one machine for a full body workout, consider the SB800 fan bike. You will find Sole equipment installed in leading hotels, including Omni and Hilton Hotel chains. Sole actually pioneered the concept of putting easy-to-transport treadmills, ellipticals, and exercise bikes in guest rooms. You can own the same high quality Sole bikes for home use that are used in these hotels and you won’t pay more for it. 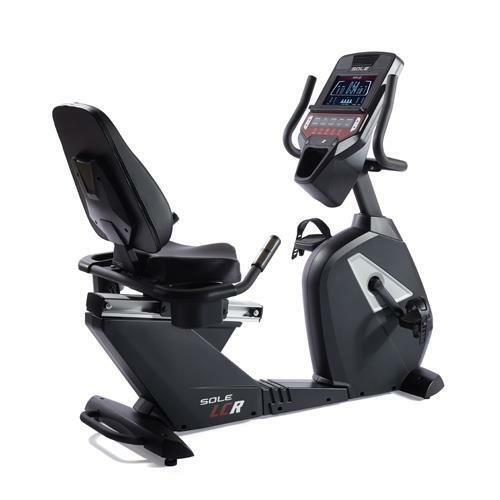 When you come across reviews for Sole exercise bikes and other fitness products you quickly learn that the company is renowned for its many years of dedicated quality and constant innovation in everything to do with cardio fitness. Sole could have produced a line of indoor fitness bikes years ago but they waited until they were ready and got it just right. Hopefully they will add the new Bluetooth technology to more of their bikes going forward, which will make them even better than they are now, which is saying a lot. Sole SB800 Aerodyne - the newest offering, a 2017 model that combines an upright bike with elliptical arms for a full body workout. Sole SB700 Spin Bike - Offers many of the features of more expensive spinner bikes but at a greatly reduced price. 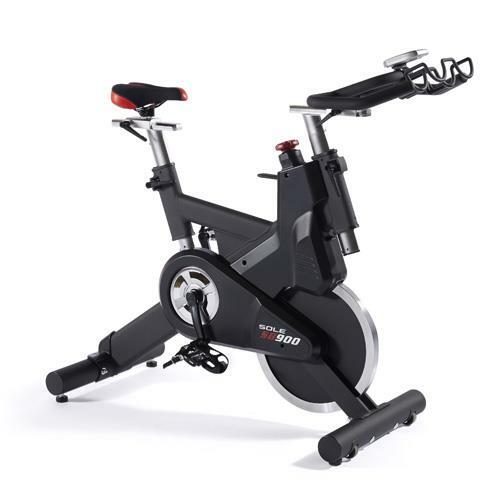 Sole SB900 Spin Bike - An upgrade to the SB700 with eddy current brake resistance and pedal options. Sole B94 Upright Bike - An attractive and well-designed piece of cardio equipment that offers quality and no-nonsense programs to help you get and stay in shape. Sole LCB Upright Bike - Light commercial unit has a larger flywheel for a smoother performance than the B94 model, plus more resistance levels, a longer warranty, and a self generating power source. Sole R92 Recumbent Bike - Comfortable and relaxing, the Sole R92 gets you back in the exercise mode without breaking the bank; fits into most spaces where you hope to fit an exercise machine. Sole LCR Recumbent Bike - Compact light commercial model offers good value for your money and will give you years of continuous and quality workouts. Rates well for aesthetics, ergonomic feel, ease of use, overall quality, and smoothness.